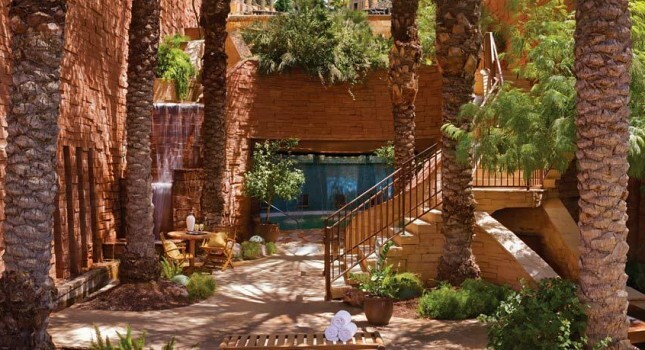 If your budget is still good after the summer, you can get yourself a luxurious escape to Scottsdale, Arizona with today’s great hotel deal. 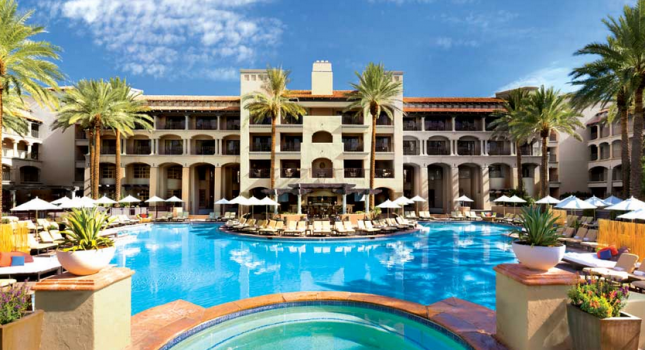 Book the Fairmont Scottsdale Princess resort for $358 per night and save up to 15% off current rates on travel through this year. 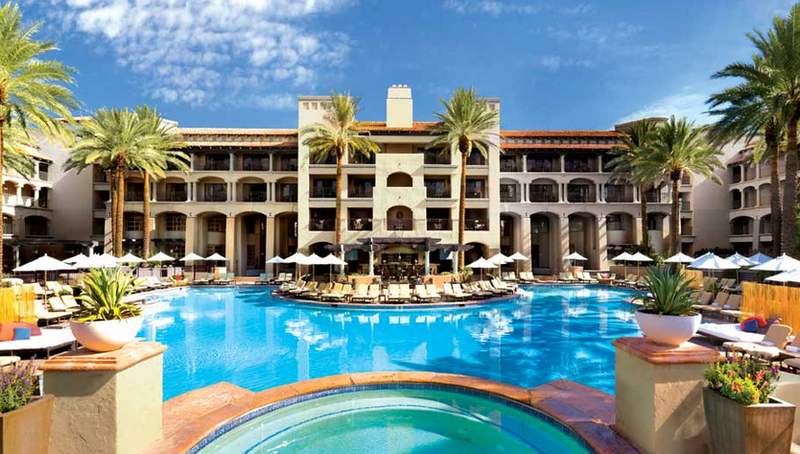 The AAA 5 Diamond Fairmont Scottsdale Princess resort is located on East princess Drive in Scottsdale, Arizona. You would be staying a few minutes away from some of the city’s shopping malls and a short drive away from world famous places like the Grand Canyon or Sedona. The resort with its huge business center is perfect for your important meetings as well as your perfect Big Day with its wedding packages. The 5 star Fairmont Scottsdale Princess is characterized by large open spaces filled with the indigenous flora of the Arizona desert including colorful cactus flowers, agave plants and stunning view over the mountains and sunsets. You can also submerge into pampering experiences at the spa, including massages, couple’s massages, facial ad body treatments eucalyptus inhalation, acupuncture, Swiss shower, cold pool, dry sauna and a spa cuisine menu. 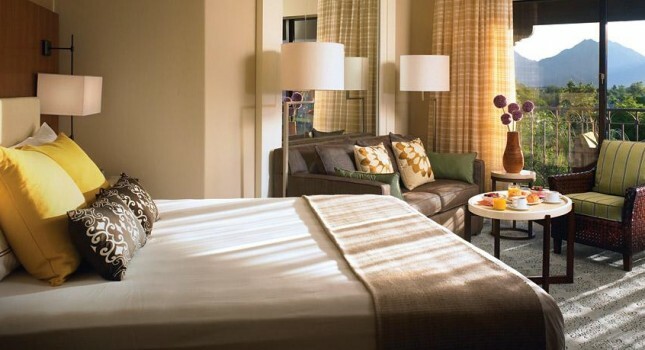 Fairmont Scottsdale has got 649 lavishly decorated and equipped rooms and suites. All the accommodations at the resort have a separate living and work area as well as oversized bathrooms with luxurious amenities, wet bars, furnished terrace or balcony, king bed, sofa, armchair, flat screen TV and more features. Dining options at the hotel include four restaurants, a bar and room service. Bourbon Steak is the very elegant and high end steakhouse of Fairmont Scottsdale Princess. You can find here the finest cuts of beef and best butter roaster poultry in the whole city. La Hacienda offers the best of classic and modern Mexican cuisine in a sophisticated atmosphere while at Toro you can discover the tastes of Latin America and some of the best quality rum. Ironwood American Kitchen offers popular American flare all day and The Bar has got beers on tap, wines by the glass and all your favorite drinks. Want to choose the perfect luxury hotel for your vacation? Check out similar hotel deals by selecting some sites from the box, choosing your travel dates and comparing their prices. You might find a similar or even higher value Scottsdale hotel for a better price! This entry was posted on Monday, September 21st, 2015 at 9:50 am and is filed under Hotel Deals. You can follow any responses to this entry through the RSS 2.0 feed. You can leave a response, or trackback from your own site.